With 64 hours to go, Nostradamus is fully funded. If you have not donated yet or want to learn more about the film and the rewards, head to Kickstarter! Nostradamus is almost 1/3 funded with 16 days to go! Learn more about the film and how to help. Head to Kickstarter to read more about the film and help support it! 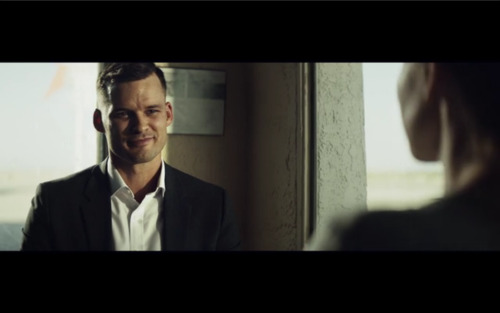 ACTOR/EXECUTIVE PRODUCER: AUSTIN NICHOLS was born in Michigan and raised in Texas from the age of 2. At 18, Nichols enrolled at the University of Southern California and simultaneously began his acting career with small television and film roles. After graduating, a role on HBO’s Six Feet Under led Nichols to the big-budget environmental disaster flick, The Day After Tomorrow. He followed that up with Wimbledon and Glory Road. It was playing Morgan Earp on Deadwood, where Nichols met David Milch. Milch asked if Nichols would play the title role in his new series for HBO, John From Cincinnati. The very interesting and enigmatic series lasted only one season, but it left its mark on the actor. Ever since, Nichols has been seeking out great writers and directors to work with. A string of indies followed with The Informers, Beautiful Boy, and Parkland. Most recently, Nichols can be seen on Showtime’s Ray Donovan, playing the dark and tortured movie star, Tommy Wheeler. (THOUSAND OAKS, Calif. – Sept. 18, 2014) Actor and director Austin Nichols will be the first guest in California Lutheran University’s 2014-2015 “Conversations With …” series. The former “One Tree Hill” actor will answer questions starting at 7 p.m. Wednesday, Oct. 8, in Preus-Brandt Forum on the Thousand Oaks campus. Actor, writer and director Markus Flanagan, who teaches at Cal Lutheran, will moderate the informal one-hour discussion on the craft of acting followed by a question-and-answer session with the audience. The “Conversations With …” talks provide theater arts students and other aspiring actors with advice from professionals. They take the approach laid out in Flanagan’s book, “One Less Bitter Actor: The Actor’s Survival Guide,” which explains how to make it in the business of acting while staying sane and focused. Preus-Brandt Forum is located at 135 Chapel Lane on the Thousand Oaks campus. For more information, call 805-493-3415 or email info@westlakeactingstudio.com. MEDIA NOTE: A photo is available. Contact Karin Grennan at kgrennan@callutheran.edu or 805-493-3512. + 55 Screencaps of Austin’s guest appearance as Miles Lydon on Marvel’s Agents of Shield. Austin will be guest starring on Agents of SHIELD tonight on ABC at 8pm. Austin will be guest starring on ABC’s Agents of S.H.I.E.L.D. Austin announced on Twitter today that he will be guest starring on Agents of SHIELD. He will be playing Miles Lydon. The episode will air on Tuesday, October 22, 2013 at 8pm on ABC. “Girl In The Flower Dress”- An elusive girl in a flower dress may hold the key to the mystery that brings Coulson and team to Asia to rescue a young man with an unusual and dangerous power. Meanwhile, Skye has a secret that jeopardizes her relationship with the team right when they need her most, on “Marvel’s Agents of S.H.I.E.L.D.,” TUESDAY, OCTOBER 22 (8:00-9:01 p.m., ET) on the ABC Television Network. “Marvel’s Agents of S.H.I.E.L.D.” stars Clark Gregg as Agent Phil Coulson, Ming-Na Wen as Agent MeLinda May, Brett Dalton as Agent Grant Ward, Chloe Bennet as Skye, Iain De Caestecker as Agent Leo Fitz and Elizabeth Henstridge as Agent Jemma Simmons. Guest starring are Louis Changchien as Renshu Tseng; Ruth Negga as Raina; Austin Nichols as Miles Lydon, SHANNON LUCIO as Debbie, Tzi Ma as Agent Quan Chen, Cullen Douglas as Po. “Girl In The Flower Dress” was written by Brent Fletcher and directed by Jesse Bochco. “Marvel’s Agents of S.H.I.E.L.D.” is broadcast in 720 Progressive (720P), ABC’s selected HDTV format with a 5.1 channel surround sound. This program carries a TV-PG,D,V parental guideline. Sorry for the delay, been busy with school. Enjoy the screencaps from last Sunday’s Ray Donovan!